Sometimes, as you call them, 'orbs' can just be the result of reflection if you are taking the picture in front of a mirror. It can also be caused by unseen street lights, if you are taking a picture while on a bridge (the railings cover the light, but that light appears in that photo. Why? Because, the camera senses the gap between the railings and thus, the big ball of light that most of the people think are 'orbs' appears). 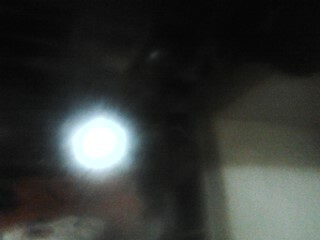 The same thing happened to me, and here is the picture of the 'orb' that appeared in my photo.
. .I already mentioned this IS light. I know about orbs finely. This picture is very old and I don't even know why I submitted this! Dear..this is so much different if you actually knew orbs..that this is just either a flash in a mirror or street light..orbs don't have this cast around it as does your photo.. While your entitled to your opinion, this is not a Angel or spirit orb.